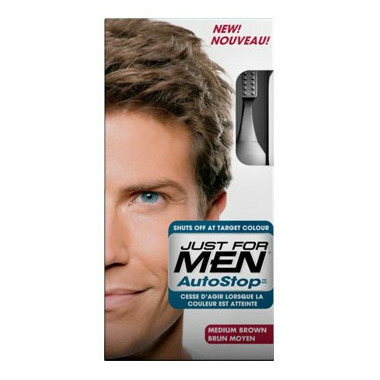 Just For Men® AutoStop™ comes in nine shades that make it easy to find the right one for you. the concept of the product is good but the quality is weak. It doesnt stay in well, and i find myself dying the same place twice in one week. I've used this product for 3 years and it works as advertised. I don't understand why the only other review of this product claims it doesn't work. I leave it in for 10 to 12 minutes and it adds just enough colour to look natural. On one occasion when I left it in for about 25 minutes it left my hair darker than the intended shade (light brown became dark brown) and it didn't look natural at all. It's easy to use and will work if done correctly. Do not buy this....use the regular shampoo-in Just For Men color! 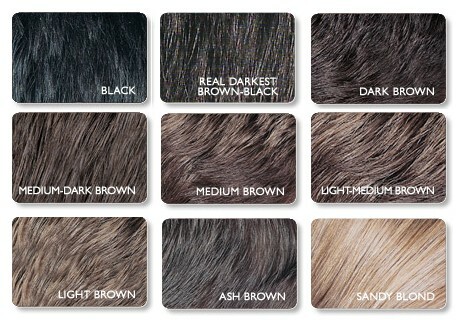 I have been using the regular shampoo-in Just for Men hair color for a couple years now and it has been awesome! I tried this new Auto Stop brush in gel today, and after leaving it on for just under 20 minutes, which is basically 10 mins longer than you need to, when I washed it, about 70 percent of it washed out! Very disappointed as the regular has always worked so well. Just stay with the regular! !